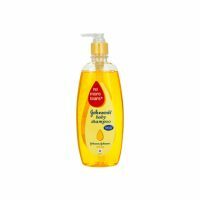 FEATURES: Sebamed baby wash extra soft has pH of 5.5 and has sugar based mild cleanser. Sebamed baby wash extra soft is fortified with lipids similar to vernix (same as in mother’s womb) to protect and hydrate the baby’s skin. 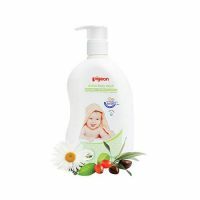 Sebamed baby wash extra soft is free from irritants and hence has 0% incidences of irritant reactions. Sebamed baby wash extra soft contains botanical ingredient, hence the reported incidence of allergic reaction is 0.000003%. 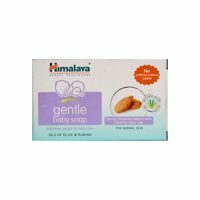 Only at pH5.5 the baby’s delicate eyes are not irritated and the tear free formula is free from formaldehyde. DIRECTION Please wet the body of your baby with water from head to toe. Take 1-2 ml of Sebamed baby wash extra soft on your palm and dilute it with 2-3 ml of water. Gently massage the whole body with the diluted solution for 1-2 minute to ensure gentle cleansing and hydration. No tears formula protects your baby’s delicate eye. However avoid the area around eyes and in case the product enters the baby’s delicate eyes, please thoroughly rinse it off with water. Completely rinse your baby’s body with water and gently pat dry with towel.